I personally believe it is impossible for us to fully grasp the magnitude of assistance we are receiving from our Father-Mother God and the Company of Heaven. The conscious knowledge of this Divine Intervention, however, is definitely a comfort during this wondrous but often confusing and challenging time. As promised, we at Era of Peaceare sharing important facets of the unfolding Divine Plan for 2019 through our Weekly Vlogs, Free Seminars, Monthly Newsletters and every other opportunity. Today I want to share with you another amazing and vitally important activity of Light that has taken place. Please read these words with an open heart and mind. On March 9, 2019, we held our Free Seminar in Memphis, Tennessee. This is the first time in the many decades we have been offering free seminars that we were called to Memphis. The seminar was held in a Unity Church in a beautiful wooded area of Memphis. Our first activity of Light was to offer the Cup of our collective consciousness as the Open Door through which our Father-Mother God would blaze their magnificent Light into our Planetary Grid of Transfiguring Divine Love. Over 100 dedicated Lightworkers attended the seminar, and we were joined in consciousness by thousands of Lightworkers from around the world who were projecting their Light and Love into the Chalice of our Heart Flames in Memphis. This exponentially expanded the amount of Light our Father-Mother God and the Company of Heaven were able to infuse into our Planetary Grid of Transfiguring Divine Love. That Gift of Light is now amplifying the Lightwork of every single person on Earth one thousand fold every single day. After empowering our Planetary Grid of Transfiguring Divine Love, the Company of Heaven guided us through a powerful activity of Light. The Lightworkers associated with this Unity Church had been focusing on building a momentum of Christ Consciousness for Memphis and the rest of the planet for a very long time. The Minister said that several months ago she had been guided by the Company of Heaven to expand their endeavors by invoking a forcefield of Purity. Even though she did not fully comprehend why, she said that she and the Lightworkers associated with the church had been invoking the Flame of Purity on a daily basis since she received that request from On High. During my meditation on the morning of the seminar, the Company of Heaven revealed the second phase of the Divine Plan for the Memphis Seminar. First, I was reminded of a very special personal experience I had several decades ago. I do not usually talk about my personal experiences, but I am being guided to share this with you now so you will know how long this facet of the Divine Plan has been unfolding. 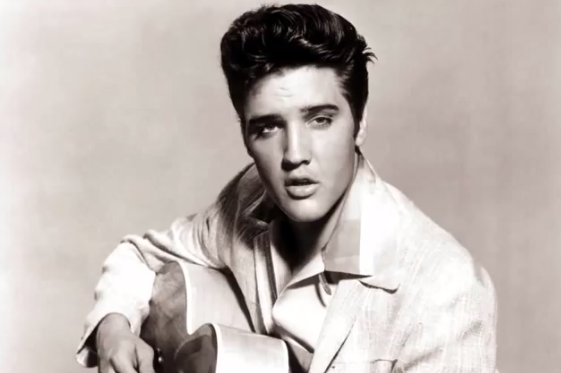 Since 1954, when he made his music debut onto the screen of Life in a massive way, I have had a deep spiritual heart connection with Elvis Presley. I was 11 years old at the time and for several years I experienced a recurring mystical connection with Elvis in the Inner Planes while I slept at night. During that time we were training, over and over again, for a mission that we would one day accomplish together. In our training sessions Elvis would receive new frequencies of Divine Light from higher dimensions and then project that Light to me in the physical plane. I, in turn, was responsible for “broadcasting” those frequencies of Light to all Life on Earth. I clearly remember those training sessions as though they happened yesterday. Even though Elvis left the physical plane from his home in Memphis on August 16, 1977, I have periodically experienced tangible connections with him. Each time I knew that whatever our mission together was, it was unfolding in Divine Timing. During my meditation on the morning of the Memphis Seminar, the Company of Heaven revealed to me that the preparation was complete and the facet of the Divine Plan that had been unfolding for decades was now being brought to fruition. The following is what the Company of Heaven revealed about the second phase of the unfolding Divine Plan in Memphis. Elvis was 42 years old when he left the physical plane in 1977. In 2019, we will commemorate the 42nd anniversary of his transition into the Light. The original owner of Elvis’ home named the house and the surrounding property “Graceland”. In Divine Order, Elvis kept that name. After his passing, his family created a shrine and a museum for him at Graceland that has magnetized millions and millions people from all over the world. The Beings of Light said that for the past 42 years people from every corner of the globe have come to Graceland with open hearts and loving thoughts to acknowledge and to give tribute to Elvis Presley for the Light and Love he added to the world. What many of these travelers did not realize is that their pilgrimage to Gracelandwas accomplishing a far greater mission. We were told by the Company of Heaven that through their I AM Presence every one of these precious Ones brought with them, in the Divinity of their Heart Flame, the collective energy, vibration and consciousness of the people from their specific locations on the planet. As the pilgrims traversed the sacred grounds of Graceland, this Light from the masses of Humanity in every corner of the world was woven into a Core of Purity that would one day open and anchor into the world of form a brand new Portal of Divine Enlightenment. On March 9th, our Father-Mother God revealed that the Cosmic Moment had arrived and that our seminar in Memphis would be the vehicle through which this brand new Portal of Enlightenment would be opened and secured in the Core of Purity that had been forming for the past 42 years. The Company of Heaven affirmed that this NEW frequency of Enlightenment will greatly accelerate Humanity’s awakening and our remembrance of the Oneness of ALL Life. This, in turn, will greatly accelerate Humanity’s eventual return to Christ Consciousness and the reactivation of our Twelve 5th-Dimensional Solar Strands of DNA which is destined to occur during the 33rd Annual World Congress on Illumination, August 10-15, 2019. https://eraofpeace.org/pages/world-congress-on-illumination With that knowing, in deep humility and profound Gratitude, the Lightworkers gathered at the church in Memphis offered the collective Cup of our Consciousness as the Holy Grail through which the NEW Portal of Enlightenment was God Victoriously opened to full breadth. I never know in advance what the second phase of the Divine Plan will be for our Free Seminars. That facet of the Divine Plan is always revealed once we are physically present in the location of the seminar. Consequently, my coworkers and I made plans to return home after the seminar on the evening of March 9th, but that was obviously too soon. Before noon that day we received a text from American Airlines telling us that our flight had been cancelled due to stormy weather in Dallas, Texas and that we would not be able to leave Memphis until Monday morning March 11th. This meant that we would be staying two additional nights within the newly opened Portal of Enlightenment. On Sunday, we were told that our pilgrimage was not quite complete. After breakfast my coworkers and I were guided to visit a building in Memphis that is shaped like a huge pyramid. Apparently this pyramid was originally known as the Great American Pyramid. It is located in downtown Memphis on the banks of the Mississippi River. It is 32 stories high and its base sides are 591 feet long. It currently is a Bass Pro Shop megastore which includes shopping, a hotel, restaurants, a bowling alley, an archery range and an outdoor observation deck adjacent to its apex. When we arrived we took the elevator to the top of the pyramid and went out on the observation deck. From there we could see downtown Memphis, the Mississippi River and a view that extended for many miles in every direction. The Company of Heaven told us that this pyramid was now radiating (“broadcasting”) the NEW Yellow-gold frequencies of Enlightenment, and the sacred knowledge of the Oneness of ALL Life to every area affected by the Civil War in the United States of America. It was also “broadcasting” this Yellow-gold Flame of Enlightenment to all of the other areas on the Body of Mother Earth that are reflecting the wounds and the distorted consciousness of duality and separation. Our Father-Mother God said that this Blessing to Humanity and ALL Life evolving on this planet will continue and build in momentum until this sweet Earth has completed her Ascension in the Light. When we felt a sense of completion with that phase of the Divine Plan, we were guided to go to Graceland to join Elvis Presley and the Legions of Light who have been assisting him and the Lightworkers embodied on Earth to fulfill this Glorious Facet of our Father-Mother God’s unfolding Divine Plan. As our mission was brought to fruition, we traversed the sacred grounds of Gracelandin reverence and a state of listening Grace. Elvis’ exquisite voice reverberated through the Ethers and the Music of the Spheres bathed us in melodious frequencies of Bliss and Wonder. Dear One, I want to remind YOU that we are One and that you too participated tangibly in this awe-inspiring event. The Elation pouring forth from the Heavenly Realms in Gratitude for our willingness to be the Open Door for Cosmic Moments like this is wondrous to behold. Take a moment and Breathe this Divine Experience into the Flame of Truth pulsating in your heart and you will KNOW whereof I speak.